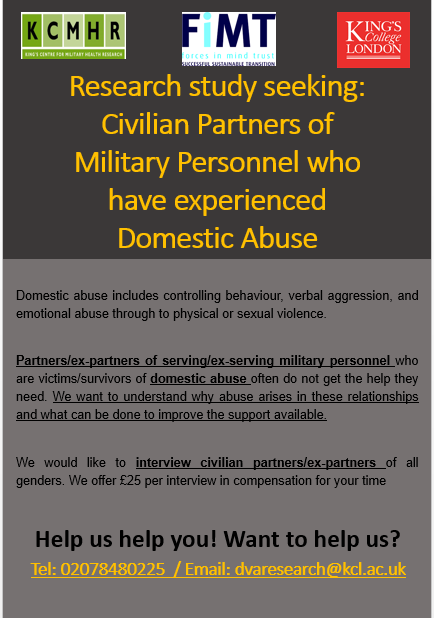 The King's Centre for Military Health Research (KCMHR) is an academic research team at King's College London. KCMHR has been conducting research into issues relevant to current and former members of the UK Armed Forces and their families since 1996. KCMHR is independent of the Ministry of Defence.